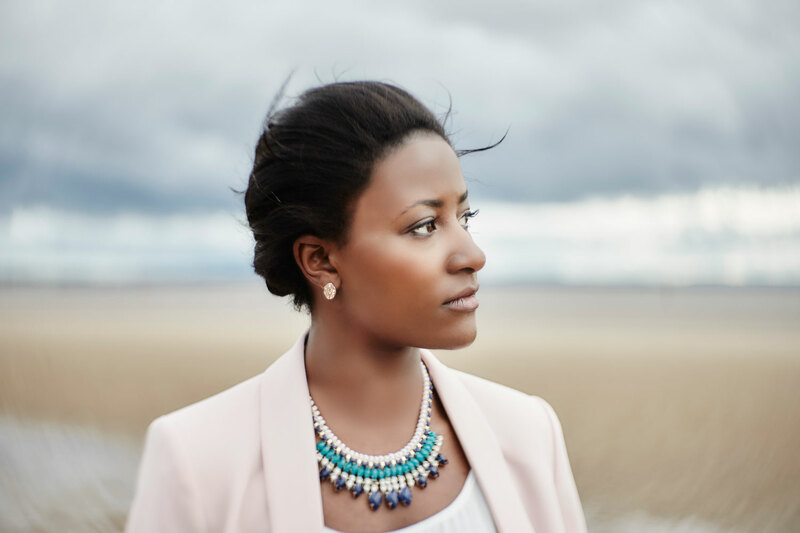 Described as Manchester’s soulful chanteuse, Josephine released her widely acclaimed debut album ‘Portrait’ in October 2012. The album was produced by Leo Abrahams and Josephine worked alongside Jimmy Hogarth plus a host of renowned musicians including Polar Bear’s drummer Seb Rochford, and Mercury Prize nominee Ed Harcourt. With elements of folk, soul, Afrobeat and jazz, the album gained critical acclaim and had A-listed singles on BBC Radio 2 as well as being play listed on the likes of 6 Muisc, XFM and Jazz FM. Josephine has performed on numerous TV shows including “Later With Jools Holland”, The Andrew Marr Show, Saturday Night Live (Ireland) and Germany’s leading breakfast show ‘Morgenmagazin’ (ZDF). Extensive touring followed the release of ‘Portrait’ with two headline tours throughout Europe, numerous festivals including Glastonbury, Lattitude, T In The Park and Electric Picnic, as well as supporting Paloma Faith, Madeleine Peyroux, The Noisettes and Michael Kiwanuka all of which solidified her reputation as a skilled live performer. Josephine was born in the Manchester suburb of Hulme before soon moving to nearby Cheetham Hill and has kept strong links with the city. Alongside her songwriting Josephine has been working with ‘HOME’ in Manchester who commissioned her to compose two live scores as part of their launch in 2015. The first commission was ‘Celluloid History Songs’, a collection of silent footage gathered from the Northwest Film Archive and culminating in the creation of six new songs performed alongside scenes of Manchester and the northwest in the early 1900s. The second and much more ambitious live score came in the form of Haxan: witchcraft through the ages, a documentary made in 1922, tracing the misconceptions of the demonic. Together with four music students from the University of Salford Josephine created a live electronic-acoustic score to accompany this occult classic. The project was an ambitious fusion of song and electronica which allowed Josephine to expand her diverse creative ideas and skills as a songwriter, arranger and sound artist. Josephine features on ‘Idlewild’, a new single by Travis from their recent album ‘Everything At Once’. Following the release of the single, Josephine performed on stage with the band including Radio 2’s ‘live in Hyde Park’ and joined them for various TV and radio performances. Josephine recently collaborated with jazz trumpet player and band leader Matthew Halsall on his well received current album ‘Into Forever’, released at the end of last year. The album has been met with splendid reviews and was nominated for album of the year at Gilles Peterson’s World Wide Awards 2016. Josephine’s current focus is working hard to complete her next album which is due to be released later this year. Manchesters gefühlvolle Sängerin Josephine Oniyama veröffentlicht den ersten Titel von ihrem kommenden Album. “Til You” folgt Josephines viel beachteten Debütalbum, “Portrait”, das in der Deutschen Presse großes Lob bekommen hat.